JMT led the engineering design for the replacement of a deteriorating spillway. 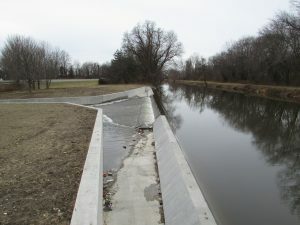 JMT prepared the design and construction documents for the replacement of a spillway connected to Delaware and Raritan Canal system. The original spillway was built by the New Jersey Department of Transportation as part of the Route 1 Freeway in the early 1950s, then turned over to the New Jersey Water Supply Authority, which has jurisdiction of the spillway and the responsibility of operating and maintaining the spillway and apron. In 2014, the overall condition of the spillway was found to be deteriorating due to severe undermining of the spillway, apron, and water seepage through and under the spillway. Emergency repairs were implemented to keep the structure in service until its replacement. JMT was tasked with designing a visually and virtually in-kind replacement, matching the current footprint and configuration of the existing spillway. Permanent sheeting was driven along the front face of the spillway to address seepage issues underneath. 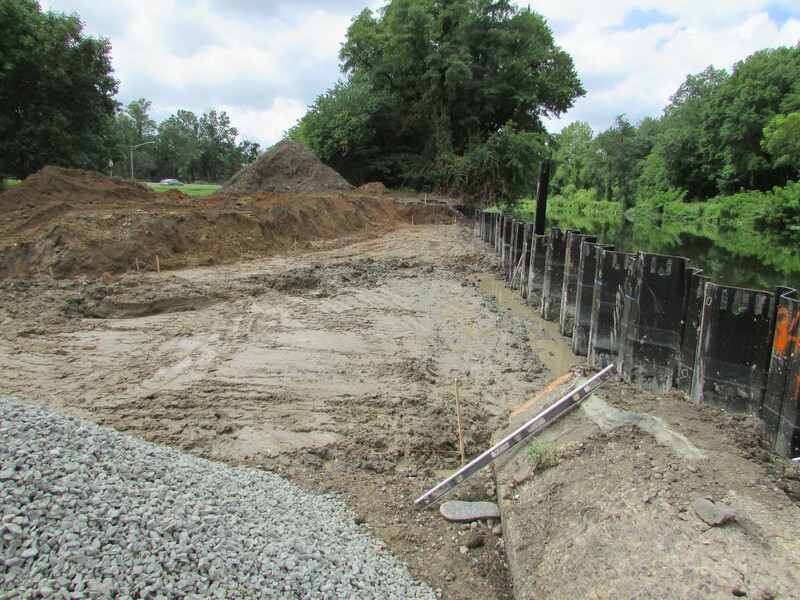 This sheeting served as a temporary cofferdam during construction and was cut off below the mud line after the new spillway was constructed. 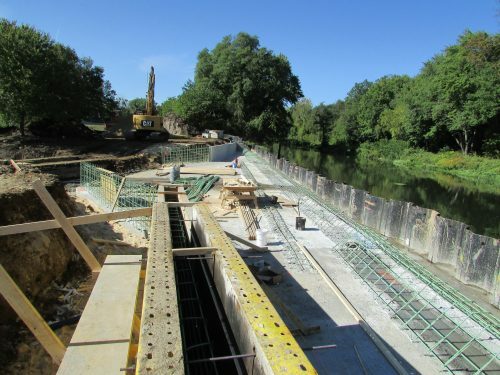 The sheeting was connected to the base of the concrete spillway by means of shear connectors, adding additional support to the concrete spillway. 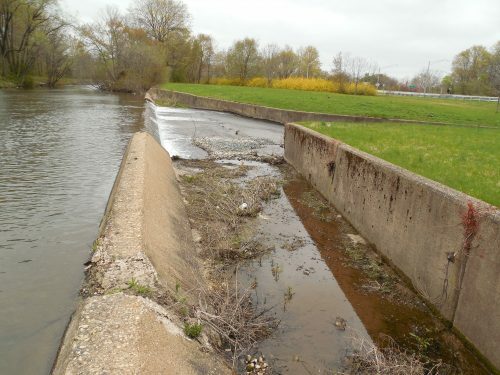 The only notable visual difference between the existing spillway and the new spillway was the addition of a plunge pool and sill to reduce water velocities and the potential for concrete erosion at the base of the downstream spillway where the primary spillway meets the apron slab. 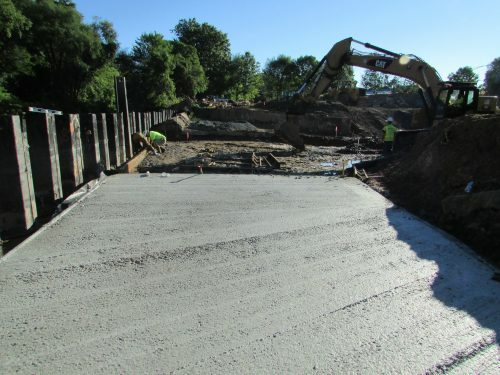 In addition, the apron slab surface finish was tined to reduce velocities and improve surface roughness, which will reduce the potential of a slip/fall hazard, therefore improving safety. Additional work included soil borings and geotechnical analysis; field survey and wetland delineation; environmental permitting; and bid support.